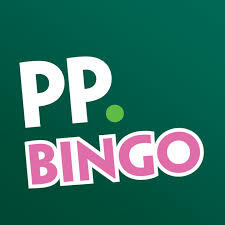 Paddy Power Bingo gets cracking with Christmas! It is hard to believe that Christmas is just a few short weeks away and can you believe that Paddy Power Bingo is already getting cracking with their Christmas Promotion. Paddy Pays for Christmas is back with bells or should we say bingo balls on again, and they will be granting one roomies wish every day, right up to the 30th November. To grant this wish they are giving winners £100 in cash and to qualify for this prize, simply spend a tenner in real money on bingo that day. Then send in your Christmas wish and the most inspiring or original email will win. All you have to do is tug hard enough on Paddy's heart strings to win. You can try more than once if at first you don't succeed, and your email should also contain what it is you wish for and what the cost is. This bingo site also did this last year and it was so sweet to read the winning players wishes, very few wanted something for themselves and these are all withdrawable cash prizes. On Thursdays you can win free Paddy Power Bingo for a week, and all you need do again is spend £/€10 on bingo to get into this draw. Spend the tenner and your entry is automatic, and as you have already spent this money, think of a nice Christmas wish for yourself or your loved ones and send that in too. You might as well get the most for your money. There is also £ 2,500 guaranteed up for grabs on a Thursday for 50p bingo tickets, find this in the Gold Room between 8 and 11pm! There are five £500 guaranteed prizes going in games which take place on the hour and £250 every half hour.